I got hungry while walking around some malls in Montreal, and we stopped by at a food court in Cinema Banque Scotia Montreal after having Tim Hortons' Strawberry Shortcake Muffin (because I was still starving). There's a chain called "Valentine" and I'd never tried their poutine, so I decided to buy one. FYI, this shop didn't have any ice button on the soda machine. 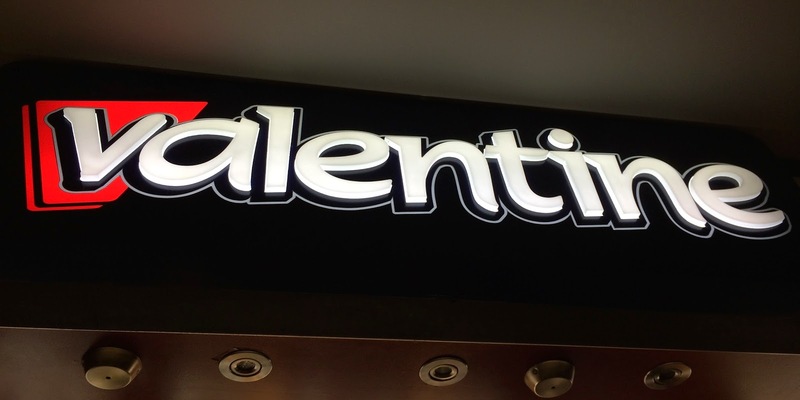 Valentine was first opened in 1979 in St-Hyacinthe, Quebec. It's said that their stellar service, tasty menu and affordable prices quickly made the restaurant popular among the locals. They had sandwiches, burgers and hot dogs, too. I ordered a regular size of "La Poutine du Quebec." They had several designs of paper luncheon mat over the tray and one of them was a history of their poutine. 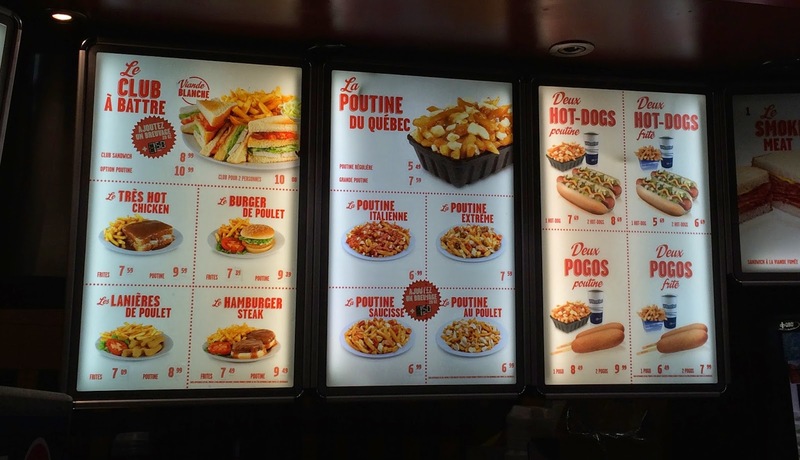 As you can see, since 1979, there's no difference in the photos of poutine, so they're implying "it's not changed" as it's written "35 ans de classiques" at the bottom, meaning "35 years of classic." 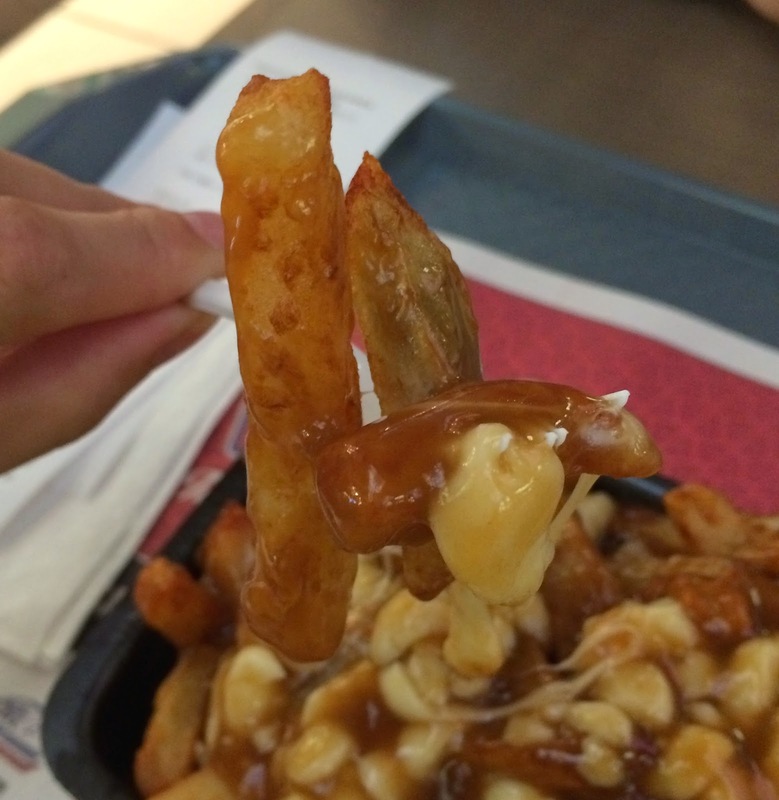 Though it's a regular sized poutine, it's much larger than other fast food chains. 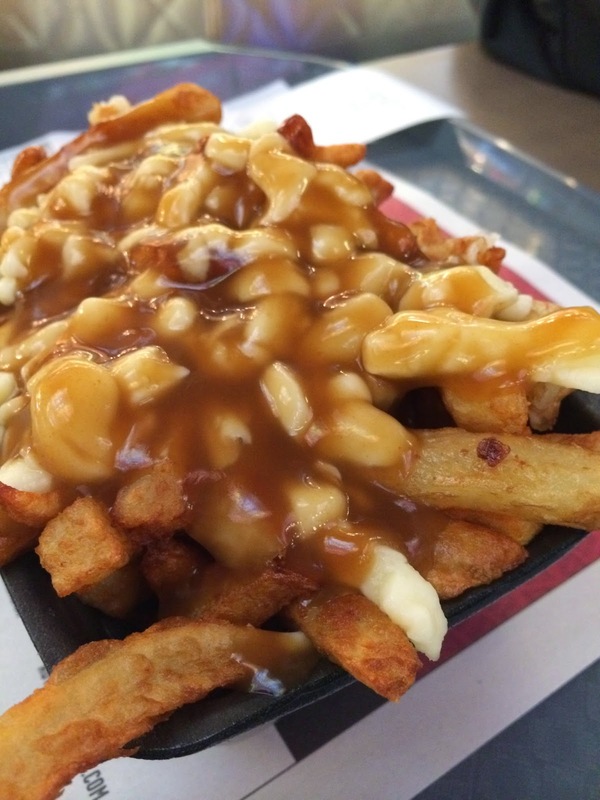 Lots of fries, so many cheese curds, and more than enough gravy was dropped on the top. Thick cut fries weren't crispy but oily and soft. Gravy was sweet first but aftertaste was quite salty. Cheese curds were soft and melted, and they didn't have much squeakiness. Maybe the cheese curds were small so that they're melted by the heat from fries and the flood of gravy sauce. I think 5.49 dollars (before tax) for this portion was actually reasonable, but I didn't like the not-crispy fries.